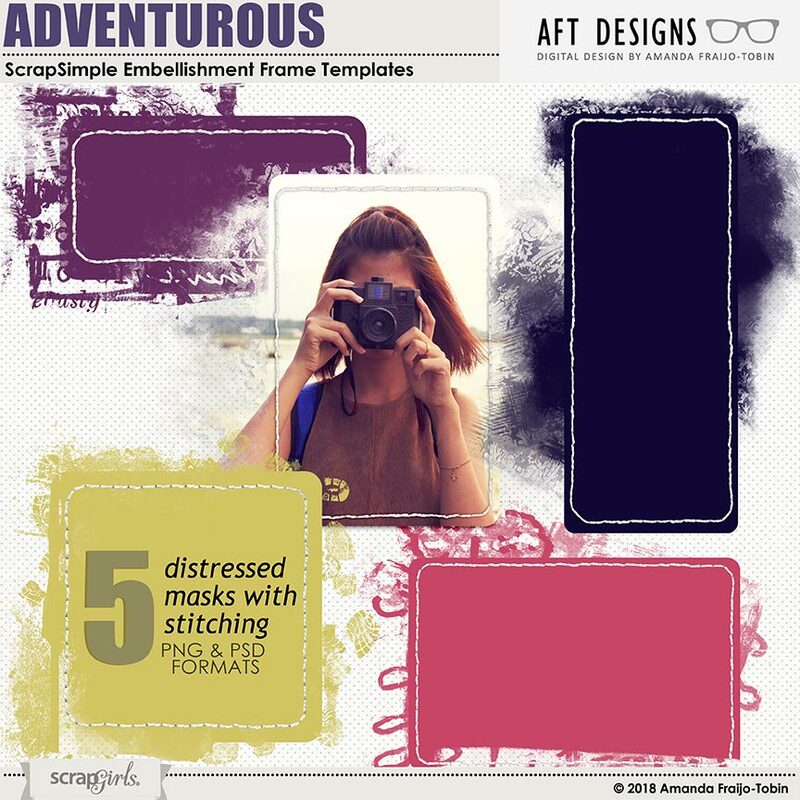 Add a little adventure and more to your layouts with these fun blended stitching and mask frames. Coordinates with the whole Adventurous line from AFT Designs. (5) Digital scrapbooking Photo Mask Frames. Includes PSD and PNG format. 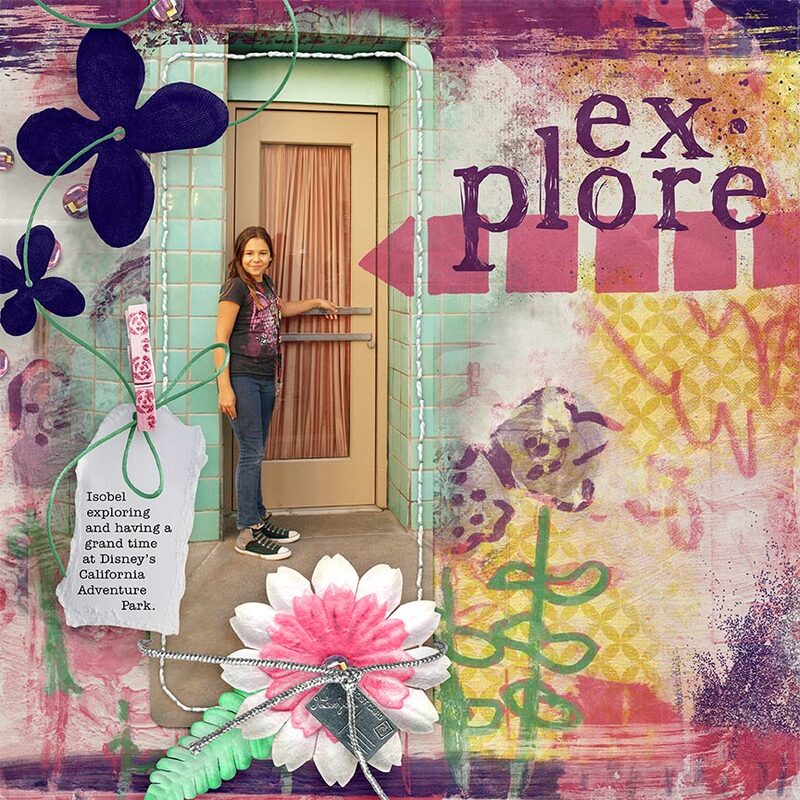 Scrapbook yours and your loved one's adventures with this fun digital scrapbooking kit. Coordiantes with the whole "Adventurous" line by AFT Designs. 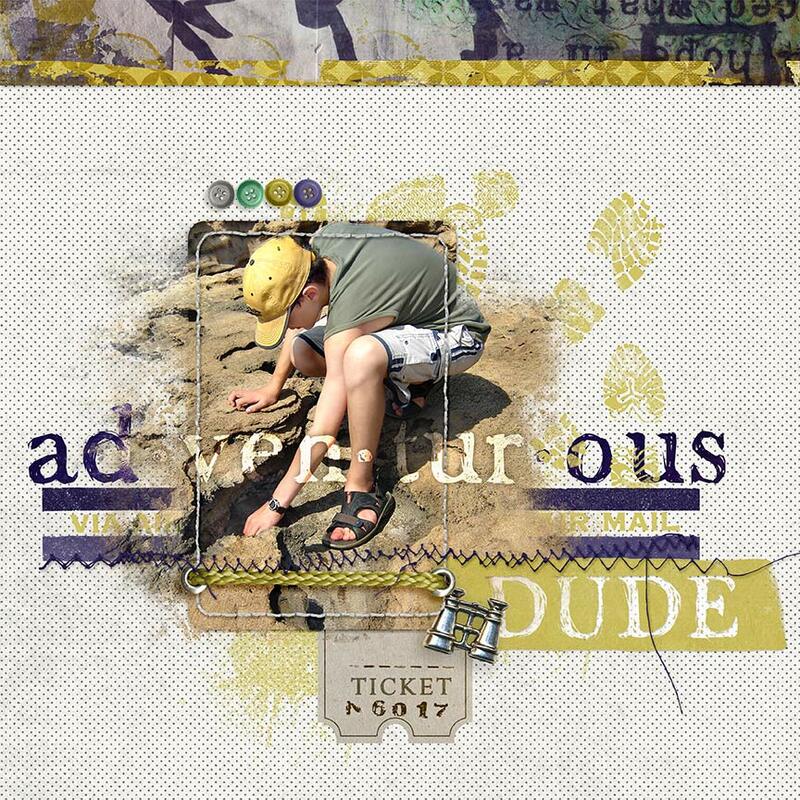 Add titles about adventure and more to your layout with these sketchy dictionary inspired words. Large format words also come with a free brush (ABR) version for ease of use. Create out of bounds digital scrapbooking frames easily with these blending templates in PSD and PNG format. Use with colors, papers, multiple photos and more for a unique frame each time. Celebrate Gratitude and enjoy every moment with this digital scrapbooking kit. Create pretty distressed photos, journaling blocks and other accents with this set of photo clipping mask templates.